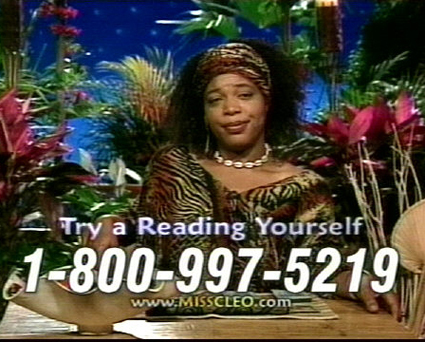 Okay, well maybe you don’t have to channel Miss Cleo to get legal employment these days. But, in addition to the healthy dose of luck you’ll need, the legal career services world has created a brand new buzzword concept through which all prospective employees can be vetted: emotional intelligence. What is emotional intelligence, you ask? Emotional intelligence, or as those trying to sound more professional than they really are might call it, “EI,” is the demonstrated ability to show, and practice, professional competence by providing good answers to hypothetical questions and connecting with interviewers. The idea behind the concept is that you are being hired not just for your legal acumen and ability to detect italicized commas in a document of hundreds of pages — you’re being hired to develop and maintain clients. What does this all boil down to? Don’t be a jackass. It’s hard to imagine why a new buzzword for an obvious concept like emotional intelligence even merits creation, but oddly enough, a JET alum probably possesses more of it than most law students, especially the rural JET alum. There’s something about being the sole foreigner in a town that breeds the sort of thick skin capable of dealing with clients regardless of whether those clients are truly deserving of your empathy and advocacy, or whether they, let’s just say, suffer from a severe lack of emotional intelligence. Rural JET life is, in many ways, a true test of your personal “EI.” It may be true that in a legal interview you are outgunned by the experience of your interviewer, but at least you’re outgunned in your own language. On JET, your schools and your community are akin to clients. Their taxes are your salary at the end of the day, and they’re happiness with your presence is the ultimate determiner of where you end up on the scale of Immortal Super JET Hero, or in Utter Misery. Of course, completely unaddressed in the article is the fact that law school may actually degrade emotional intelligence. Three years of having your fate decided by ultimately petty distinctions (LSAT score, narrow grading curves, law journal write-on scores, the list goes on) can turn even the most most emotionally balanced and likable person into a petty, cut-throat monster. Not surprisingly, lawyers lead the professional world in depression and drug abuse. If “emotional intelligence” is going to be a significant factor in legal employment going forward, it might be worth it for law schools to consider whether their curriculum amounts to too much of an emotional lobotomy to ensure their students’ some degree of employment prospects. Former JETs naturally have a little bit of adventurer in them. Unfortunately, the sedentary life of the law student spells disappointment for those of accustomed to a more active life. This isn’t to say going out and enjoying life doesn’t happen in law school. But if you like inordinate amounts of time reading and editing italicized commas, however, you’re in for a real treat. Fortunately, life after law school doesn’t necessarily have to be like that — and if you still have that glimmer of a sense of adventure and the desire to live in not-so-often traveled parts of the world, a judicial clerkship in on of America’s international territories might be what you’re after. After graduate clerkships with various courts across the country are a common (if not somewhat challenging route) to post-graduate employment. The pay is typically lower than you would expect if you went to a firm immediately after graduating, but some firms still offer clerkship bonuses for those who bring that experience with them in tow. But, more than you might expect, America is a big friggin’ country, and clerkships are not limited to the fifty states alone. Clerking and court employment opportunities exist in America’s international territories as well, including Puerto Rico, the Marshall Islands, the Virgin Islands, American Samoa, Guam, and Palau. Living here will be not unlike JET – many of these places offer subsidized housing and pay for you to come over, so while your clerkship income is small, your imputed income is not so bad. A recent law review article was actually written describing much of the process in detail. But each territory has its own recruiting schedule, and its own preferences. I hope to share that with you piece-by-piece, and since Palau is the island I currently have the most information on, it makes sense to start there. Palau is a small island territory located several hundred miles east of the Philippine Islands. Positions in Palau are possible at all levels of the judiciary, including not only the Supreme Court of Palau, but also in the attorney general’s office, the public defender’s office, as legislative counsel for the Senate and the House of Delegates, or with Micronesian Legal Services Corporation. The court typically hires under the following timeline: the position is posted late in the year, around December, with the application deadline being mid-March. Interviews follow in May, and hiring shortly after that. Like JET, it seems, the process is long and cumbersome, but certainly worth it if a clerkship on a tropical island is your goal. Additionally, the information I have indicates that, while you can apply to the court without prior clerkship experience, the court is typically trending towards hiring those with court clerk experience – meaning a Palau court clerkship straight out of law school may be a long shot. Other sources, however, have indicated to me that travel and experience living in the east / southeast Asia area can be a plus, as well as a background in Japanese. These were both speculation on my source’s part, but if those two factors are a plus, then the JET experience stands to benefit anyone seeking a position in Palau. Certainly this site isn’t the only one looking to help JETs take their time in Japan and segue into the legal marketplace. Last month, there was a presentation at the Tokyo Returnee’s Conference specifically aimed at JETs considering legal careers. A list of the qualifications necessary for a legal career in the various JET participating countries. The nagging question to most folks concluding their JET experience is: how the hell do I utilize JET on my resume? Maybe tone it down a little. The short answer is that JET can be sold as a positive experience, but compared to the opportunity costs of other things you could have been doing instead of JET, JET won’t necessarily be a golden ticket into law school or a legal career. Perhaps the first threshold question is: Should I even put JET on my resume? What may seem like a no-brainer (yes! of course! JET’s great!) may actually not be so — there are certainly no dearth of web forum arguments out there over this very issue. Technically The JET Program[me] was not your employer, your contracting organization was. JET, then, is more like your placement agency, and your BOE your placement. Additionally, with a name that ends in “Program[me],” JET doesn’t sound really like an employer, but, well, like something that’s simply experiential – like study/work abroad. There’s the rub – if JET is your only post-undergrad experience, you’d prefer to characterize it as close to actual work as possible. It seems odd, then, to try and fit JET at the top line of your resume in your employment slot. However, JET also has a pretty vast and active alumni community, and as such, you might want to find a way to highlight the fact that you’re a former JET to get the attention of possible JET alums that can help you find employment. It that sense, it would be understandable to put “The Japan Exchange and Teaching Program[me] somewhere visible on your resume. Also worth noting, as of April 10, 2010 – LinkedIn now recognizes “The JET Program[me]” as an employer on its drop down menus when putting your work experience into that site. This should assist former JETs search for other JET alumni with which to network. The good news on this is, since there’s no significant consensus on this issue, you can likely list it however you like. If you’re going to list JET as your employer, it would make more sense to list the whole name as opposed to the acronym (i.e. The Japan Exchange and Teaching Program[me], instead of just “JET” or “The JET Program[me],”) to give non-JET employers some idea of what you were doing. Alternative approaches would include listing your Board of Education as your employer, and then including “Placement by the JET Program, one of Japan’s largest cultural exchange programs, run by Japan’s Ministry of Foreign Affairs in cooperation with local governments.” Or some other such thing. If, for some reason, you don’t want to highlight that your background was on JET, you can always just list your JETAA affiliation near the bottom of your resume, or omit JET altogether.  Co-developed and presented a curriculum for use in nineteen area elementary schools. While I do not mention JET explicitly, I do mention my JETAA affiliation in a separate area. I have friends, however, who have included JET prominently in their resume, and who have found employment. How, where, and whether you choose to make JET a visible part on your resume is up to you. It is something to think about, though. Now that we have that out of the way, onto something more significant: How should I explain JET on my resume? The answer to that question depends upon whether: (a) You’re using your JET experience to get into law school, or (b) You’re using your JET experience as part of your search for legal employment. Oddly enough, law schools and legal employers are not looking for the same things on your resume. What you know is that neither really cares about your amazing Fruit Basket ‘skillz’ – but what is it they are looking for? Law schools care about nothing more than your LSAT score having a diverse student body that can bring different perspectives and ideas into the law school classroom. The good news is that a former JET can bring a lot of diversity into the classroom, and having a resume that screams both to your JET-related accomplishments as well as this diversity/uniqueness element will likely help you. If you take some time to think about it, you do bring a pretty unique background with you. If you were in a small town (like I was) chances are you were the only person – or only one of a very few select people – of your nationality to live there. You’ve lived the life of an outsider – trying to adapt, fit in, and get along in a place very different from your home. You’ve taken on challenges from such mundane things as sorting your garbage to seven different categories to having to plan a lesson on the fly because your JTE decided it would be fun not to tell you forgot to tell you about the class you are going to teach five minutes from now. You’ve been asked to make impromptu speeches and you’ve been made a spectacle of at town events. In other words, you’ve had a unique and rare experience that not many of your fellow law students bring to the table. Capitalize on that. Of course JET probably won’t offset a poor LSAT or undergrad performance – JET will be a ‘soft factor’ on your law school application, but you can utilize it in a way that makes it a very strong soft factor, if you want to do so. The legal employer doesn’t care so much about your diverse background, your interesting perspective on life, or your opinions on onsen etiquette. A legal employer wants to know two things: (1) Can you produce a good work product for me?, and (2) Are you going to be impossible to work with? Keep in mind, moreover, that if you were born between 1979-2000 and coming off of JET, going to law school, and looking for legal employment, you may also have to overcome the image employers currently have about the Millennial Generation. While employers recognize our generation as tech-savvy and confident, we’re not so beloved for having an ‘entitled’ attitude, short attention span, an inability to do anything without the approval of a superior, and a dislike for consulting resources that were, at one point, trees. For additional information regarding hiring and millenials, see Jim Kennedy’s 2008 Article on the subject. Also, JET will not be at the top of your legal resume. Legal resumes naturally bifurcate the ‘Work Experience’ section into two areas, with Legal Experience (at the top) and Other Experience (after Legal Experience). Your resume to a legal employer needs to (1) convince them of your competence, (2) do something to demonstrate that you’re not like the other Millennials applying for the position (i.e., you can make decisions – Millennials are often lauded for their ability to find information, but severely disliked when it comes to not knowing how to process or act on it), and (3) show them something, some skill or ability you can bring to their work place. All of this needs to be designed to get you to the next step of finding employment: an interview. But, while JET didn’t provide you the legal training to necessarily help you accomplish (3), it definitely gives you a good angle to attack (1) and (2). For (1), show some quantifiable results– how big a town or city did you work for? At how many schools? What other accomplishments did you have in the workplace? Did you design a curriculum? Coach students for the speech contest? Numbers, data, and achievements are the best way to show you did something with your time on the Program[me]. For (2), show you took some leadership, or were put in a situation where you had to make decisions. If you had to teach at elementary school, chances are quite high you had to do a lot of the grunt work yourself – in terms of class preparation and class leadership. If you were a one-shot with a ton of schools, you probably had to walk into a classroom full of kids you saw, maybe, once a month, read the tone of the room, and with only that limited amount of information figure out how you were going to conduct class. This doesn’t mean that legal employers don’t want to hear about your adventures, however. Your employers may want to know you are human in some way, and your JET entry may be a good place to add a little of that ‘human’ touch to your resume. As your law school career progresses, you may want to consider how much space JET takes on your resume, and how you want to adapt JET to polish weaker parts of your resume. As to what specifically to put on your resume, there is fortunately tons of advice out there on that. I’ve amassed as much of it as I can, and put it below. Careers After JET 2005.pdf: Contains various job hunting tips as well as CV/Resume tips. So you graduated from a great school, and are now off on you adventure in Japan. Teaching tomorrow’s English speakers, mingling with an eclectic blend of newly minted (or maybe not so newly minted) college grads, and being the recipient of a unique and deep cultural experience are what joining JET is all about. And now, your time on JET is winding down, and you find yourself wondering: What’s next? After a pause, you think, perhaps, a law degree is a way to go. After all, you’re international, intelligent, and adaptable– and now, you’re intercultural! What better use of your time than to take that and turn it all into a law degree? Well, much like the prior to joining the JET experience, when you didn’t know you’d be sorting your garbage into eight different categories, dealing with frozen pipes, or fending off mukade the size of your arm, the expectations you bring with you to a possible legal career can conflict starkly with reality. This post isn’t designed to discourage you from going to law school, but to make sure that, if doing law after JET is a choice you are entertaining, that that decision should be an informed one. First of all, a couple words of encouragement — You Can Get Into Law School. Especially if you start early. As a JET, you have the time and the potential flexibility to make a committed, concentrated effort to study for the LSATs, to look through school rankings, to contact current and past law students and get a read on exactly where you want to study, what you might want to practice, and where your law school education might take you. This is true even if you’re a one-shot (as I was). With a few months of concentrated study, you can handle the LSAT, get an account set up on LSAC, and start applying to law schools. You even have the time and ability to go through your applications several times, consider what you want to highlight in your personal statements, and contact the right people to submit letters of recommendation for you. The benefit of being on JET and looking to get into law school is time. While your fellow law school applicants may be hard at work, or trying to multi-task a law school application with married life, children, and keeping down a job– you have, conceivably, less on your plate to distract you, and that will pay off for you in the end. Secondly, You Can Do Law School. That is, if you want to. The nature of the work in law school won’t kill you. If you can read and do some critical reasoning, you can handle law school. I promise. Moreover, law school will turn you into stronger writer and a more efficient reader within a matter of a few weeks. Perhaps spending the last two years singing “Head, Shoulders, Knees, and Toes” in front of small children has also removed any apprehensions you might have of being called on in a classroom environment– which is sure to happen in law school, and what’s more on a regular basis. Unless you make intentional and deliberate effort to ignore your classroom obligations and impending exams, you can make law school work for you. The question that remains, then, is do you really want to? Do you really want to do law school? First, a threshold matter: Are you REALLY sure you want to go through with this? Law school is not for the faint of heart. This is an ugly, unglamorous profession. Do not come to law school because you think you might want to do “something” with a law degree. That is delusional. Come to law school because you want to come out and become a practicing attorney. Before you think of accepting any of those offers, I STRONGLY URGE–INSIST– that you get in touch with a family friend who is an attorney and talk to him about the profession. Treat law school like a job. Go to work in the morning. Put in a full, honest days’ work. Go home, and rest. The fact that you’ve been out “in the world” for a while is a huge benefit. Your sectionmates (who may not even really want to be in law school, but are using it as a way to escape the real world for a few years) will not have the coping skills that you will have developed outside school. Law school evaluation is un-American. Not only are examinations terminal assessments–your whole grade is in a single exam– but the grades themselves are awarded on a fairly inflexible curve. No matter how good you feel about your exam, no matter how well you think you know the law–that doesn’t matter nearly as well as how well or poorly your section-mates did on the same exam. Like it or not, you are going to be ranked according to your performance on a single arbitrary problem that will test your ability to apply “the law” to a ridiculous set of hypothetical facts. If you are in Japan, talk to your Japanese colleagues about “exam hell” and their experiences with juku. That is the world you are about to inhabit. Be warned. Of course, the irony of the law school grading curve is that no one ever fails law school. With minimal half-assed good faith effort, even the lowest scorer will likely end up with C, unless they deliberately try to derail their own education. The only catch is that employers know this, too. Which brings me to precisely why I’m writing this post, and why you should really ask yourself whether or not you want to go through this law school experience. Everything prior to this is nothing more than a fair warning, that yes, law school is challenging and frightful mess, but also doable and potentially vastly rewarding. The real thing you need to ask yourself is, if I do this– if I go through law school, what is waiting for me on the other side? Each year more than 98 percent of graduates report employment within nine months after graduation. We have one of the highest placement rates in the country. And you can connect with our more than 9,000 alumni who are working in all 50 states and around the world. You won’t be buried up to your eyebrows in debt upon graduation… a large percentage of students receive scholarships from the College. The above language is taken from one of many law schools out there, but it’s overall representative of the whole. The sales pitch is undeniably good – High placement? Low debt? Moving into a career and getting paid more? Where do I sign? It wasn’t until I entered law school that I realized I had forgotten the conventional knowledge that lawyers, by their very nature, are sketchy on two things: mathematics, and the truth. The reality is, the law degree does less to set the one who holds it apart than you might think, and when it comes to the job search, you’re about as visible as a rain drop in the ocean. Add to that, the economic collapse and subsequent lay-offs that went with it mean you’re not just a raindrop in the ocean, but the ocean is also getting flooded by melting ice caps. The law student now not only has to compete with a crowded and choked legal market, but now also has to deal with a market crowded with actual attorneys, laid-off and looking for work. This year, my school’s class of 200-some 3Ls has 20 students employed in a legal position, and only five weeks of their law school careers remain. This isn’t because these 3Ls did not do their homework, did not seek out legal employment, or are somehow unqualified. The jobs just simply aren’t there. I write this not as a complaint- but as a word of caution. If you’re really thinking about law school, know that it’s going to be a challenge — not just while you’re there — but after you graduate. Law school is no longer the golden ticket to a stable career that it once was. Graduating law school with the coveted $100k salary and big firm position is becoming an increasingly rare, increasingly unstable phenomenon. What’s worse, some places may seek to compensate you an amount akin to a high school employee’s wage. So, if you’re going to go after a law degree, I sincerely wish you the best of luck. Law school is an intensely rewarding experience that will work you to your limits, should you choose to go for it. But, more importantly, should you choose to do it, your hard work will not end in the classroom, in those long nights in the library, or odds are, even after you graduate. But, as a former JET, you have an incredible community out there you can tap– and both the coping mechanisms and network waiting to help you make your legal education into something you can enjoy. And that’s precisely why this blog is here.